... and many more features and fixes! Today we are very happy to release Nomads V 74! This release is very special because it marks a new step in Nomads development, bringing in a lot of new changes, and the beginning of a graphics overhaul for the faction! 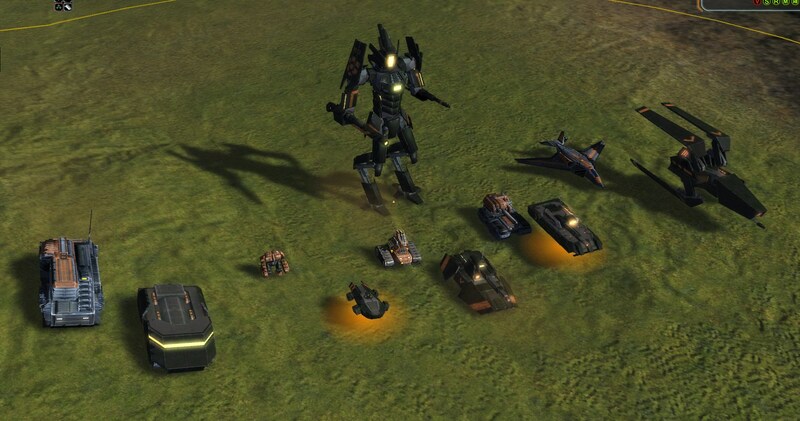 You can play the latest version of the mod right now, by selecting nomads from the featured mod list in the play tab. The nomads mod is a little out of date on its graphics, and so the units are being remodelled and refreshed! As we go along, we are also improving behaviour, usability and code quality for these units, so stay tuned for further improvements! The balance team have been working hard to make sure that the Nomads faction stays up to date with the latest official balance changes! There has been various balance changes that have been commited. We have also refactored the Nomads Nuke to fix a handful of bugs that it was causing. The nuke's explosion damage has been doubled, and fixed. Veterancy on the nuke has also been fixed, and the code has been refactored for future changes that may appear in FAF. Our aim is to maintain the cleaning of existing Nomads code to ensure that we optimise as much as possible. We have also replaced the Nomads logo with a fresh, clean-cut version, that you will find in the lobby when you play. We look forward to hearing from you, and thank you for your continued support!